[S12] C. Arnold McNaughton, The Book of Kings: A Royal Genealogy, in 3 volumes (London, U.K.: Garnstone Press, 1973), volume 1, page 110. Hereinafter cited as The Book of Kings. [S12] C. Arnold McNaughton, The Book of Kings, volume 1, page 297. [S12] C. Arnold McNaughton, The Book of Kings: A Royal Genealogy, in 3 volumes (London, U.K.: Garnstone Press, 1973), volume 1, page 311. Hereinafter cited as The Book of Kings. [S12] C. Arnold McNaughton, The Book of Kings, volume 1, page 312. [S12] C. Arnold McNaughton, The Book of Kings, volume 1, page 111. Princess Ekaterina Aleksandrovna Yourievskya was born on 9 September 1878 at St. Petersburg, RussiaG. She was the daughter of Aleksandr II Nikolaievich Romanov, Tsar of Russia and Ekaterina Mikhailovna Dolgorukya, Princess Yourievskya.3 She married, firstly, Alexander Vladimirovich Bariatinsky, Prince Bariatinsky on 18 October 1901. She married, secondly, Sergei Platonovich Obolensky, Prince Obolensky-Neledinsky-Meletzky, son of General Prince Platon Sergeievich Obolensky and Princess Maria Naryshkina, on 6 October 1916 at Yalta, Crimea, RussiaG. 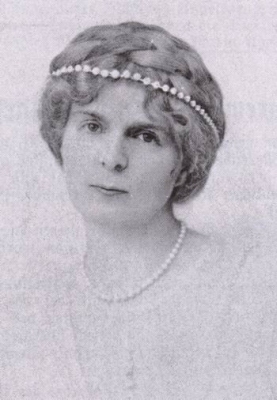 She and Sergei Platonovich Obolensky, Prince Obolensky-Neledinsky-Meletzky were divorced in 1924. She died on 22 December 1959 at age 81 at North Hayling, EnglandG. [S12] C. Arnold McNaughton, The Book of Kings: A Royal Genealogy, in 3 volumes (London, U.K.: Garnstone Press, 1973), volume 1, page 299. Hereinafter cited as The Book of Kings. [S12] C. Arnold McNaughton, The Book of Kings: A Royal Genealogy, in 3 volumes (London, U.K.: Garnstone Press, 1973), volume 1, page 312. Hereinafter cited as The Book of Kings. Aleksandr Georgiievich Yourievsky, Prince Yourievsky was born on 20 December 1901.2 He was also reported to have been born on 20 December 1900 at Nice, FranceG. He was the son of Prince Georgii Aleksandrovich Yourievsky and Aleksandra Konstantinovna von Zarnekau, Countess von Zarnekau. He married Ursule Anne Marie Beer, daughter of Tumaisch Giusep Beer, on 23 November 1957 at Flims Waldhaus, SwitzerlandG.2 He died on 29 February 1988 at age 86 at Mannedorf, SwitzerlandG. [S12] C. Arnold McNaughton, The Book of Kings: A Royal Genealogy, in 3 volumes (London, U.K.: Garnstone Press, 1973), volume 1, page 111. Hereinafter cited as The Book of Kings. 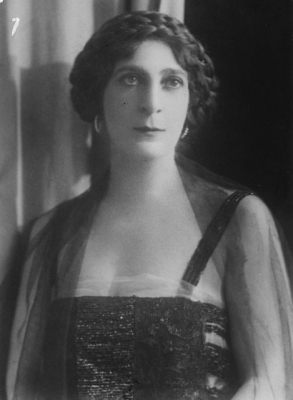 Olga Gräfin von Merenberg was born on 3 October 1898 at Wiesbaden, Hessen, GermanyG. 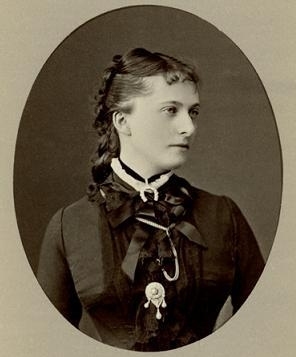 She was the daughter of Georg Graf von Merenberg and Princess Olga Aleksandrovna Yourievskya. She married Count Michael Tarielovitch Loris-Melikov on 14 November 1923. She died on 15 September 1983 at age 84 at Bottmingen bei Basel, SwitzerlandG. Alexander Vladimirovich Bariatinsky, Prince Bariatinsky was born on 4 June 1870. He married Princess Ekaterina Aleksandrovna Yourievskya, daughter of Aleksandr II Nikolaievich Romanov, Tsar of Russia and Ekaterina Mikhailovna Dolgorukya, Princess Yourievskya, on 18 October 1901. He died on 6 March 1910 at age 39. He gained the title of Prince Alexander Vladimirovich Bariatinsky.